I look up different thing all the time, thanks to Google – my brain full of numbers that might not mean much to my daily routine. Tusker is a beer in Kenya- apparently it’s the Kenyan version Heineken. This summer I made a call to a Jamhuri Guy in NYC to buy this Addis Ababa Hoody. One of his t-shirts is called Tusker Nostaliga as in it reminds him of the Tusker beer. I was fascinated with the image, and the representation of Tusker in commercial items. So I started reading about Ivory and Tusks. Also called Ivory! The word ivory disassociates it in our minds from the idea of an elephant. We tend to lump Ivory with Gold, Silver, Amber and Teak, but there is a major difference; these things do not come from an animal. Ivory is a modified tooth of an Elephant. “Unlike the from tiger bone and rhino horn, Ivory is not bound to any myth of pharmaceutical value. Nevertheless, it is luxurious, beautiful, durable, and easy to carve. From ancient times, ivory from elephant tusks has been classed among things precious and desirable. —Elephant Memories, by Cynthia Moss. International Fund for Animal Welfare or IFAW has been on the for front of fighting Ivory trade since the Ivory trade ban in 1989; there have been fluctuations’ in elephant populations and ivory trade as bans have been placed and lifted. Your Voice Against the Trade of Ivory is a campaign to fight sales of Ivory on sites such are Ebay. Some are claiming that Ebay is not doing enough to stop illegal internet trade. Many African countries including Zimbabwe, Namibia and Botswana claim that ivory trade is necessary—both to stimulate their economies and reduce elephant populations which are allegedly harming the environment. Kenya and Zambia burn their stockpiles, worth millions of dollars every year. Estimates total volume of ivory presently stockpiled in African countries is at least 462 tons, worth 46 million dollars. Botswana, Namibia, and Zimbabwe, the three countries now permitted to trade with Japan, hold 120 tons of ivory. The Global trade ban resulted in prices plummeting, and Ivory markets dried up, Poaching decreased dramatically. 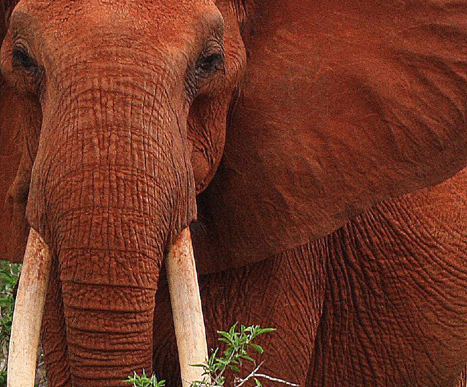 Before the ban, poachers in Kenya slaughtered at least 2,000 elephants a year. By 1995, the figure had dropped to 35 and Kenya’s elephant population increased from 19,000 in 1989 to about 26,000 today. Wonder why they are all not stockpiling like Petroleum. Published by Nolawi September 10th, 2008	in African, Current Issues and Noteworthy. Hadiya-I like Berger. I was introduced to his Ways of Seen in a college writting class, and ever since hooked. Sorry, about the spelling and title. Ways of Seeing is the title of the book. Thanks for the link i meant to get up on here and wish you and your team a happy New Years! so when are we seeing pictures of you rocking this said Hoodie? In the winter man – its too hot to wear a hoody now! Thank you so much for giving everyone an exceptionally special chance to read articles and blog posts from this web site. It’s usually so awesome and full of a good time for me personally and my office peers to visit your site minimum three times every week to read the newest items you will have. Of course, I’m just usually astounded with your tremendous creative ideas you serve. Certain 2 tips on this page are essentially the best we’ve ever had. If you want native 120Hz, that limits you to 4K.